As most urbanites and big city-dwellers know, coming up with workable apartment decorating ideas for teeny-tiny apartments can be pretty difficult. More often than not, spaces end up looking cluttered and messy. 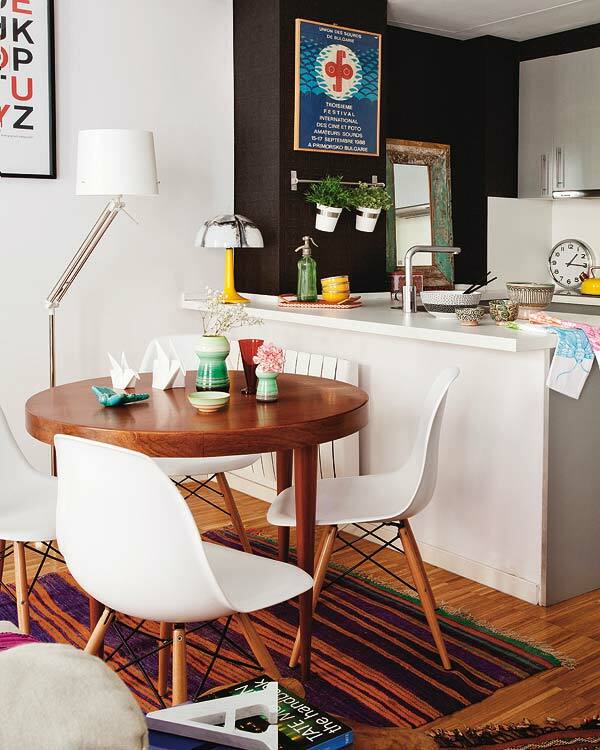 However, sometimes owners get it just right – and this Madrid apartment definitely falls into the latter category. 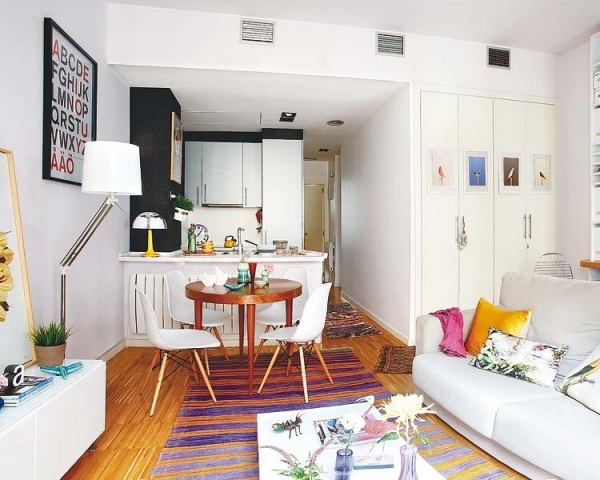 Built in 2008 and recently renovated, this eccentrically charming, one-bedroom space is located in the hustle and bustle of Madrid, right between Calle San Bernardo and Plaza de Espana. With just 500 square feet to work with, this place represents the ideal in terms of small apartment design (or even any apartment design). 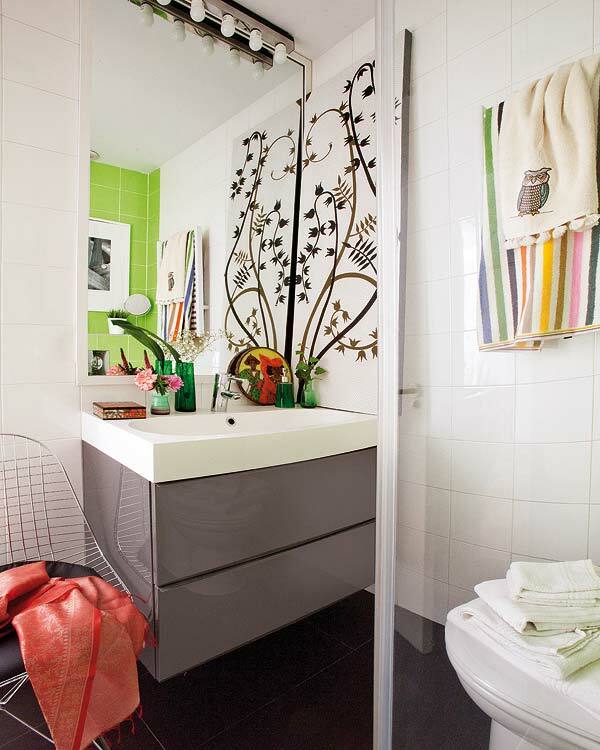 It exudes contemporary chic around every corner. Stark white walls provide the chic backdrop for black-and-white photographs and colorful art, while matching all-white furniture is set off by dramatic pops of color in the form of mustard-yellow pillows and brightly-shaded glass vases. 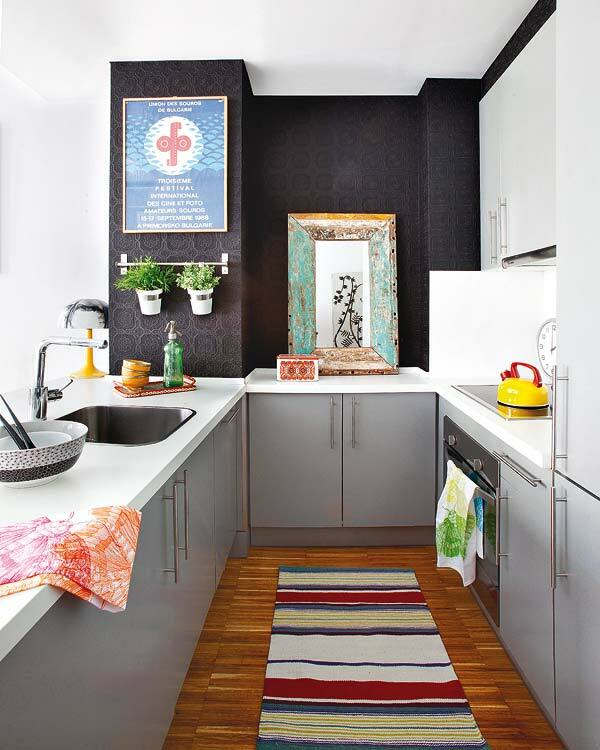 Every tiny nook and cranny is accounted for – not a single space is left unturned, and there are tons of eclectic, cool touches everywhere. 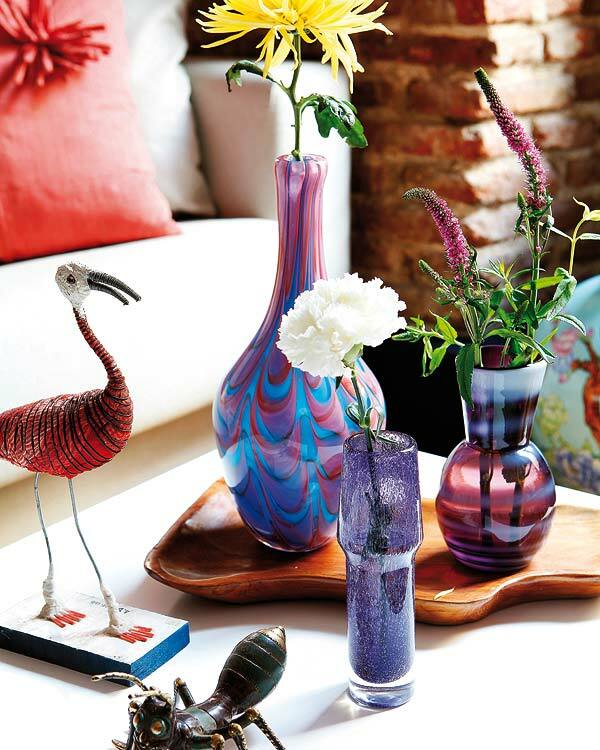 Cutesy potted plants hang in the adjoining kitchen area, colorful bird statues adorn the white coffee table, a funky-cool rug covers the living room floor, and giant red letters stand tall in the floor-to-ceiling bookshelf. 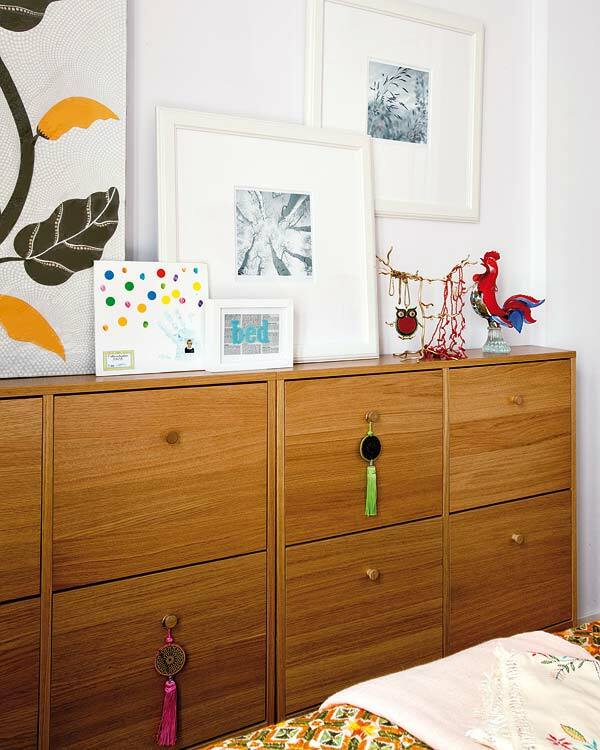 The bedroom is an inviting space, with fun little touches everywhere (yellow and gold hearts, a geometric-patterned quilt, red letters strung above the bed). Even the bathroom is decked out with lovely, unique art pieces and assorted flowers in matching glass bottles. It all makes for eye-catching, bohemian-cool apartment design, without the typical cluttered feel of most small apartments – a true feat. 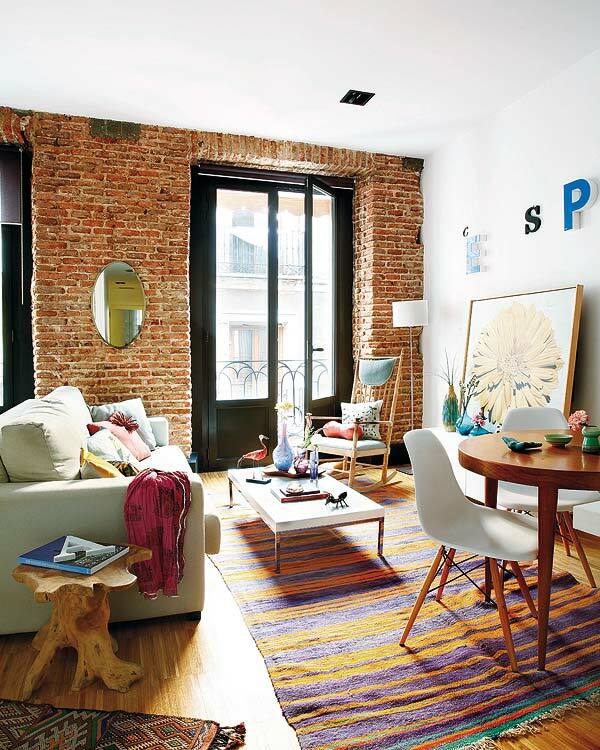 This stylish, Spanish space is positively brimming with lively energy and the warmest of vibes – it’s a true reflection of the wonderful city waiting just outside its door.